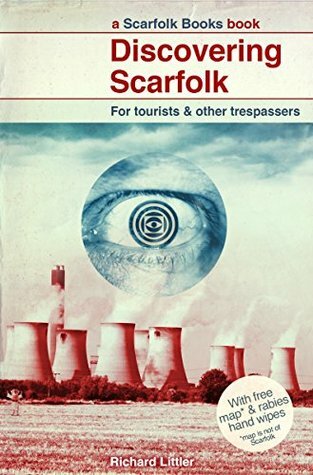 Part-comedy, part-horror, part-satire, Discovering Scarfolk is the surreal account of a family trapped in the town. Through public information posters, news reports, books, tourist brochures and other ephermera, we learn about the darker side of childhood, school and society in Scarfolk. A massive cult hit online, Scarfolk re-creates with shiver-inducing accuracy and humour our most nightmarish childhood memories. FOR MORE INFORMATION PLEASE RE-READ. From what I can figure out, this project started off as a blog, and after becoming very popular, got a book deal. I think this works better as short blog posts or tweets than it does as a collected book. There is a narrative that runs through this, it’s not just a collection of graphics. Our protag loses his children one day and when he tries to find out what happened to them, he uncovers evidence of this dystopian Scarfolk Council and a cult of stationery worshipers. It’s hilariously silly in parts, worryingly prophetic in others, and out right trippy in the rest. I think the book format weakens the message and impact of the overall project somewhat. The format of the ebook was also problematic for me. Long walls of text are interrupted mid sentence by multiple pages of graphics, which just disrupted the flow of the story. Also, the numerous footnotes didn’t really work for me for the same reason. But overall, this was still a fun little read to pick up and I did enjoy it. Anyway, I’m off to reread for more information. Until next time, Peace and Love!